Dr. Kurt Walejko grew up on a dairy farm in Spring Lake in Waushara County. 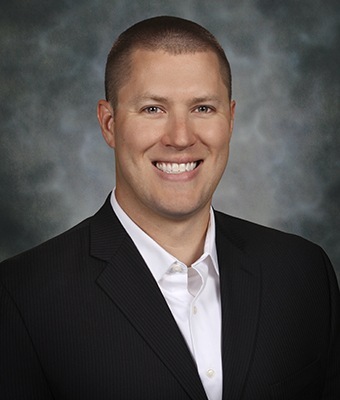 A graduate of Wautoma High School, he earned a Bachelor of Science degree in biology from UW-Eau Claire, followed by a Doctor of Dental Surgery degree from the Marquette University School of Dentistry in Milwaukee. After graduating from dental school with honors, Dr. Kurt began serving in the U.S. Air Force. While at his first duty station at Scott Air Force Base, Illinois, Dr. Kurt continued his dental training with a post-doctoral Advanced Education in General Dentistry (AEGD) residency. This residency was an intensive yearlong program that provided in-depth clinical training in all areas of general dentistry. Upon its completion, Dr. Kurt was stationed at Ellsworth Air Force Base near Rapid City, South Dakota, where he served for three years as a Captain and Deputy Clinic Commander in the Air Force Dental Corps. One of his most rewarding accomplishments has been providing exceptional dental care to the men and women who serve our country. Dr. Kurt and his middle school sweetheart, Lindsay, have been married since 2006 and have two young children, Nora and Nolan. Their family is rounded out by their furry, overly-affectionate rescue mutt, Toby. Outside of dentistry, Dr. Kurt enjoys outdoor sports, especially deer hunting with his dad and brothers on the Walejko family farm. He also likes to cook, and his specialties include Mickey Mouse pancakes and smoked barbecue.